Montagut is a pretty mesh brand created in 1880 by the back aft great grandfather of the current rulers. 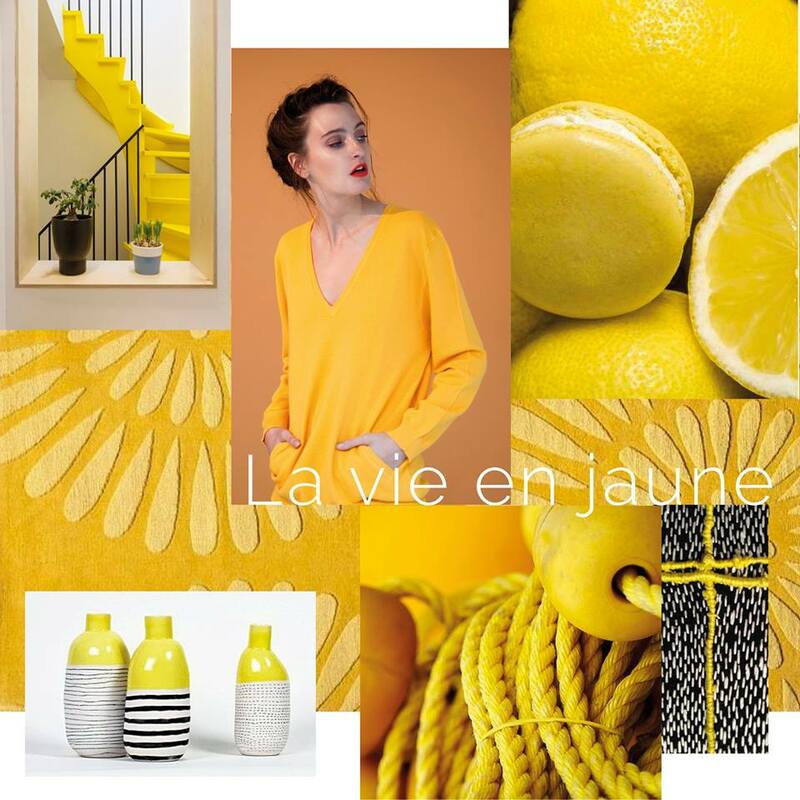 At the time, it was a silk yarn factory near Saint-Sauveur de Montagut which develops after the war, due to shortage of many natural materials including silk and becomes a knitting company. This is where the creation of pull-overs and knit polo shirts for men and women begins. A new combination of materials, the Cotton-cashmere blend, has been revisited through a Capsule, Montagut x Benjamin Isidore Juveneton collection. The designer and visual artist Benjamin Isidore Juveneton, a modern and committed artist, devised for Montagut a weaving inspired by moucharabiehs, drawn from his memories of the Alhambra of Granada in Spain, declined on four pieces, in four colors, dedicated Feminine and masculine silhouettes. 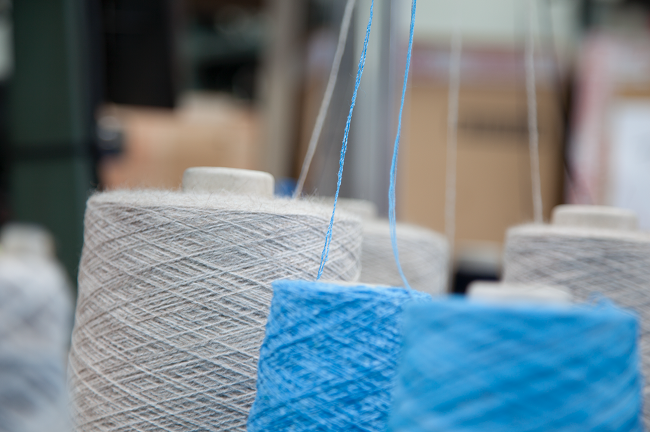 The materials were chosen with the greatest care; There will obviously be cashmere, the flagship of the brand, mixed with cotton. The red, the emblematic color of the brand, will be accompanied by modern and elegant tones, such as anthracite and sand. In March, Montagut celebrates women in their own way thanks to a special attention slipped in their parcel … fresh and perfumed red roses petals ! Participation in the concept store The Stackers in partnership with Stylist with a stand presenting the Spring-Summer 2016 collection. 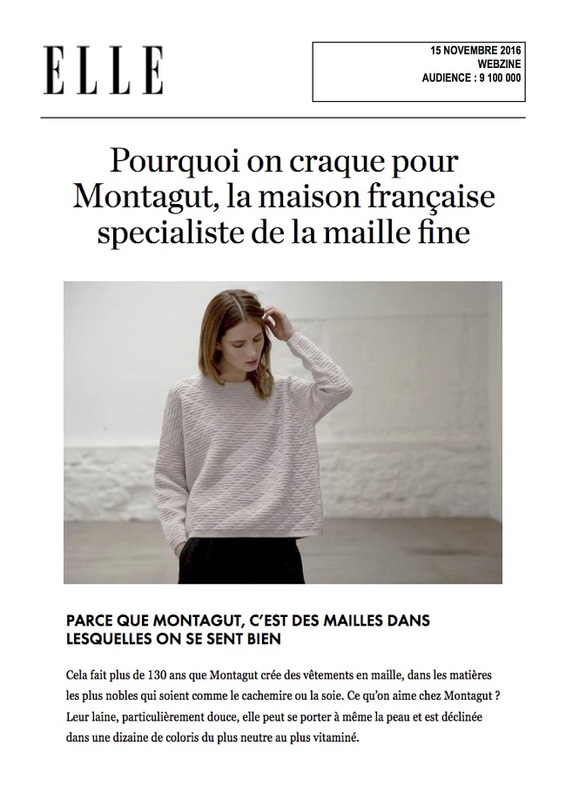 Montagut is a 100% French brand with headquarters in Ardèche in the South of France, close to its first knitting factory. Montagut proposes a new interpretation of Bohemian style, with a touch of chic thanks to light and flexible mesh for the summer. 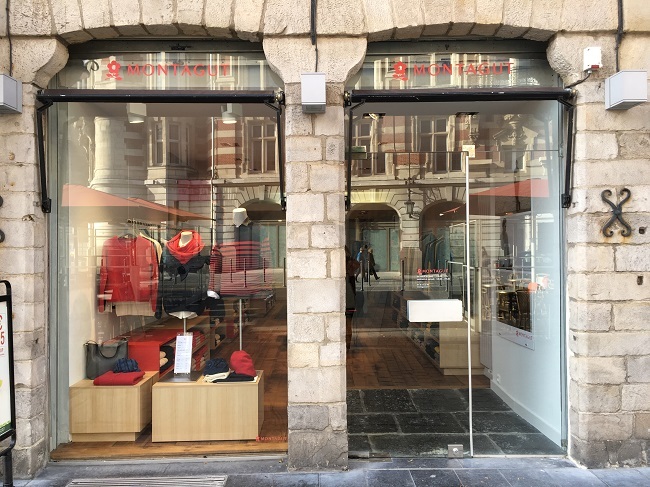 Opening of a new Montagut boutique in Lille. 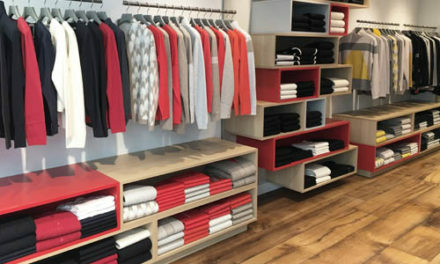 After Saint-Germain-En-Laye in 2015, Montagut continues to develop its own network of boutiques in the major French cities. 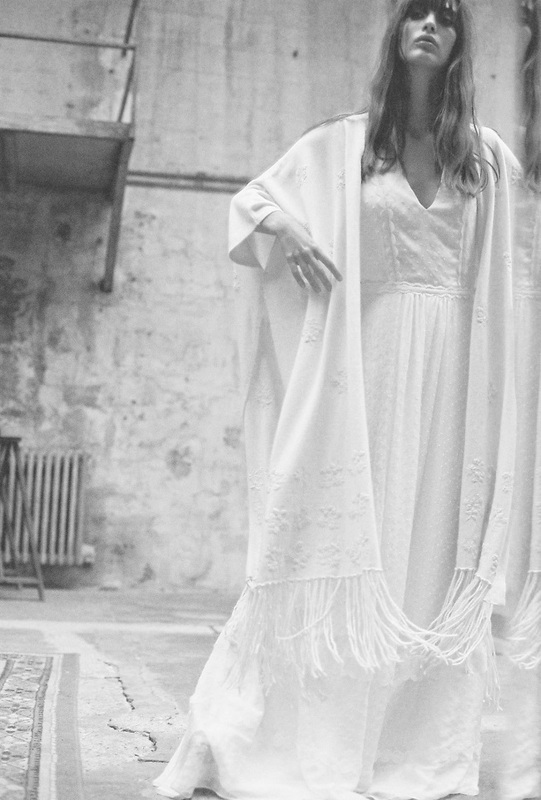 Montagut is associated with Elise Hameau, the designer of wedding dresses to give birth to 3 exceptional pieces that warm the brides in winter: a 100% cashmere poncho embroidered with small flowers in the hand, a mohair ball sweater and a long waistcoat In 100% wool. 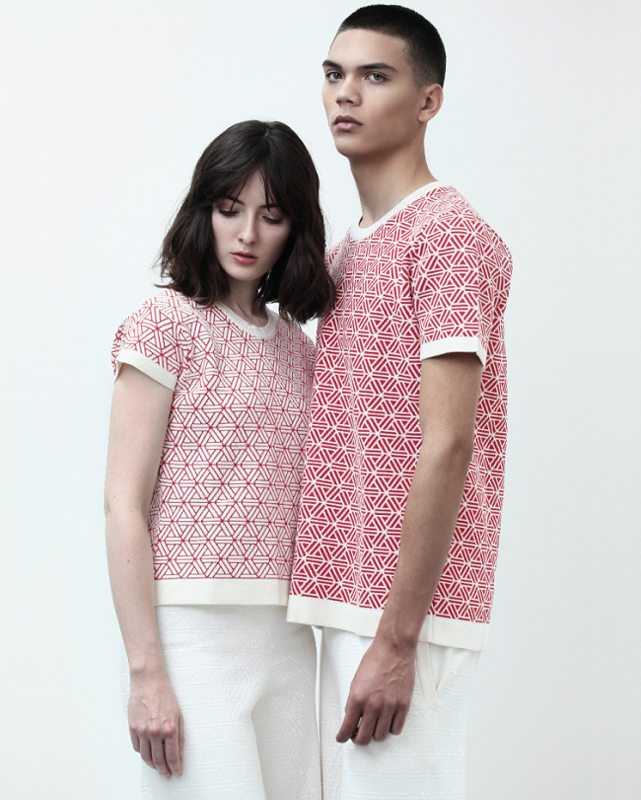 This exceptional capsule collection is inspired by the retro and bohemian universe of the designer. To discover here. Montagut is one of the favorite brands of the ELLE magazines. 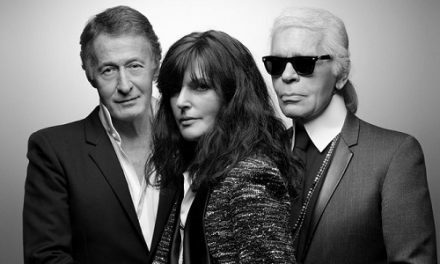 In November, a contest on the ELLE app made it possible to offer vouchers to 5 happy winners. 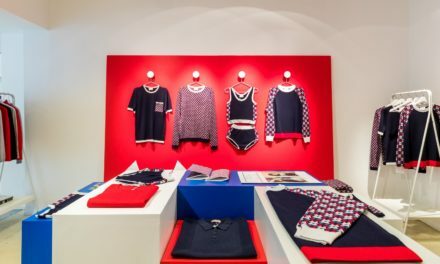 For Autumn-Winter 2016 collection, Montagut takes us to the summit of the snowy mountains with a line of winter sweaters reinterpreted on the graphic-ski theme: graphic patterns and bright colors, to spend a winter holiday in style! What about 2017? 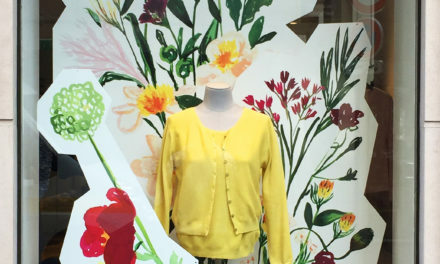 Montagut knits you still full of surprises: a new collaboration, new selections of clothes always softer, a spring-summer tangled and a fall-winter offset!